Mimamsa (IAST: Mīmāṃsā) is a Sanskrit word that means "reflection" or "critical investigation". 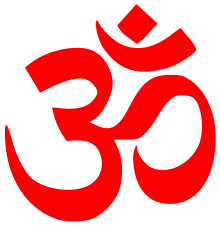 It is also the name of one of six orthodox (astika) schools of Hinduism. The school is known for its philosophical theories on the nature of dharma, based on hermeneutics of the Vedas. The school was influential and foundational to the vedāntic schools of Hinduism, with the difference that the Mīmāṃsā school (also known as Pūrva-Mīmāṃsā or Karma-Mīmāṃsā) developed and emphasized karma-kāṇḍa (study of ritual actions, early four Vedas), while the Vedānta schools (also known as Uttara-Mīmāṃsā) developed and emphasized jñana-kāṇḍa (study of knowledge and spirituality, later parts of Vedas, like the Upaniṣads). Mīmāṃsā has several sub-schools, each defined by its epistemology. The Prābhākara sub-school (from Prabhākara Miśra) considered five epistemically reliable means to gaining knowledge - Pratyakṣha (perception), Anumāna (inference), Upamāna (comparison and analogy), Arthāpatti (postulation, derivation from circumstances), and Śabda (word, testimony of past or present reliable experts). The Bhāṭṭa sub-school (from Kumārila Bhaṭṭa) added a sixth to its canon of reliable epistemology - Anupalabdhi (non-perception, negative/cognitive proof). The school of Mīmāṃsā consists of both atheistic and theistic doctrines and the school showed little interest in systematic examination of the existence of God. Rather, it held that the soul is an eternal, omnipresent, inherently active spiritual essence, then focussed on the epistemology and metaphysics of dharma. To them, dharma meant rituals and social duties, not devas (gods) because gods existed only in name. The Mīmāṃsakas held that Vedas are "eternal authorless infallible", that Vedic vidhi (injunctions) and mantras in rituals are prescriptive kārya (actions), and the rituals are of primary importance and merit. They considered the Upaniṣads (later portions of Vedas) and other self-knowledge, spirituality-related texts as subsidiary, a philosophical view that Vedānta school of Hinduism disagreed with. The Mīmāṃsā school of Hinduism is a form of realism. A key text of the Mīmāṃsā school is the Mīmāṃsā Sūtra of Jaimini. Mīmāṃsā (Sanskrit: मीमांसा, also spelled Mimamsa) means "reflection, consideration, profound thought, investigation, examination, discussion" in Sanskrit. It also refers to the "examination of the Vedic text" and to a school of Hindu philosophy that is also known as Pūrva Mīmāṃsā ("prior" inquiry, also Karma-Mīmāṃsā), in contrast to Uttara Mīmāṃsā ("posterior" inquiry, also Jñana-Mīmāṃsā) – the opposing school of Vedanta. This division is based on classification of the Vedic texts into karmakāṇḍa, the early sections of the Veda treating of mantras and rituals (Samhitas and Brahmanas), and the jñānakāṇḍa dealing with the meditation, reflection and knowledge of Self, Oneness, Brahman (the Upanishads). Between the Samhitas and Brahmanas, the Mimamsa school places greater emphasis to the Brahmanas - the part of Vedas that is a commentary on Vedic rituals. Donald Davis translates Mimamsa as the "desire to think", and in colloquial historical context as "how to think and interpret things". In the last centuries of the 1st-millennium BCE, the word Mīmāṃsā began to denote the thoughts on and interpretation of the Vedas, first as Purva-Mimamsa for rituals portions in the earlier layers of texts in the Vedas, and as Uttara-Mimamsa for the philosophical portions in the last layers. Over time, Purva-Mimamsa was just known as the Mimamsa school, and the Uttara-Mimamsa as the Vedanta school. Pratyakṣa (प्रत्यक्ष्य) means perception. It is of two types in Mimamsa and other schools of Hinduism: external and internal. External perception is described as that arising from the interaction of five senses and worldly objects, while internal perception is described by this school as that of inner sense, the mind. The ancient and medieval Indian texts identify four requirements for correct perception: Indriyarthasannikarsa (direct experience by one's sensory organ(s) with the object, whatever is being studied), Avyapadesya (non-verbal; correct perception is not through hearsay, according to ancient Indian scholars, where one's sensory organ relies on accepting or rejecting someone else's perception), Avyabhicara (does not wander; correct perception does not change, nor is it the result of deception because one's sensory organ or means of observation is drifting, defective, suspect) and Vyavasayatmaka (definite; correct perception excludes judgments of doubt, either because of one's failure to observe all the details, or because one is mixing inference with observation and observing what one wants to observe, or not observing what one does not want to observe). Some ancient scholars proposed "unusual perception" as pramana and called it internal perception, a proposal contested by other Indian scholars. The internal perception concepts included pratibha (intuition), samanyalaksanapratyaksa (a form of induction from perceived specifics to a universal), and jnanalaksanapratyaksa (a form of perception of prior processes and previous states of a 'topic of study' by observing its current state). Further, some schools of Hinduism considered and refined rules of accepting uncertain knowledge from Pratyakṣa-pramana, so as to contrast nirnaya (definite judgment, conclusion) from anadhyavasaya (indefinite judgment). Upamāṇa (उपमान) means comparison and analogy. Some Hindu schools consider it as a proper means of knowledge. Upamana, states Lochtefeld, may be explained with the example of a traveller who has never visited lands or islands with endemic population of wildlife. He or she is told, by someone who has been there, that in those lands you see an animal that sort of looks like a cow, grazes like cow but is different from a cow in such and such way. Such use of analogy and comparison is, state the Indian epistemologists, a valid means of conditional knowledge, as it helps the traveller identify the new animal later. The subject of comparison is formally called upameyam, the object of comparison is called upamanam, while the attribute(s) are identified as samanya. Thus, explains Monier Williams, if a boy says "her face is like the moon in charmingness", "her face" is upameyam, the moon is upamanam, and charmingness is samanya. The 7th century text Bhaṭṭikāvya in verses 10.28 through 10.63 discusses many types of comparisons and analogies, identifying when this epistemic method is more useful and reliable, and when it is not. In various ancient and medieval texts of Hinduism, 32 types of Upanama and their value in epistemology are debated. Arthāpatti (अर्थापत्ति) means postulation, derivation from circumstances. In contemporary logic, this pramana is similar to circumstantial implication. As example, if a person left in a boat on river earlier, and the time is now past the expected time of arrival, then the circumstances support the truth postulate that the person has arrived. Many Indian scholars considered this pramana as invalid or at best weak, because the boat may have gotten delayed or diverted. However, in cases such as deriving the time of a future sunrise or sunset, this method was asserted by the proponents to be reliable. Another common example for arthapatti found in the texts of Mīmāṃsā and other schools of Hinduism is, that if "Devadatta is fat" and "Devadatta does not eat in day", then the following must be true: "Devadatta eats in the night". This form of postulation and deriving from circumstances is, claim the Indian scholars, a means to discovery, proper insight and knowledge. The Hindu schools that accept this means of knowledge state that this method is a valid means to conditional knowledge and truths about a subject and object in original premises or different premises. The schools that do not accept this method, state that postulation, extrapolation and circumstantial implication is either derivable from other pramanas or flawed means to correct knowledge, instead one must rely on direct perception or proper inference. Abhava (अभाव) means non-existence. Some scholars consider Anupalabdi to be same as Abhava, while others consider Anupalabdi and Abhava as different. Abhava-pramana has been discussed in ancient Hindu texts in the context of Padartha (पदार्थ, referent of a term). A Padartha is defined as that which is simultaneously Astitva (existent), Jneyatva (knowable) and Abhidheyatva (nameable). Specific examples of padartha, states Bartley, include dravya (substance), guna (quality), karma (activity/motion), samanya/jati (universal/class property), samavaya (inherence) and vishesha (individuality). Abhava is then explained as "referents of negative expression" in contrast to "referents of positive expression" in Padartha. An absence, state the ancient scholars, is also "existent, knowable and nameable", giving the example of negative numbers, silence as a form of testimony, asatkaryavada theory of causation, and analysis of deficit as real and valuable. Abhava was further refined in four types, by the schools of Hinduism that accepted it as a useful method of epistemology: dhvamsa (termination of what existed), atyanta-abhava (impossibility, absolute non-existence, contradiction), anyonya-abhava (mutual negation, reciprocal absence) and pragavasa (prior, antecedent non-existence). An interesting feature of the Mimāṃsā school of philosophy is its unique epistemological theory of the intrinsic validity of all cognition as such. It is held that all knowledge is ipso facto true (Skt. svataḥprāmāṇyavāda). Thus, what is to be proven is not the truth of a cognition, but its falsity. The Mimāṃsākas advocate the self-validity of knowledge both in respect of its origin (utpatti) and ascertainment (jñapti). Not only did the Mimāṃsākas make the very great use of this theory to establish the unchallengeable validity of the Vedas, but later Vedantists also drew freely upon this particular Mimāṃsā contribution. The foundational text for the Mīmāṃsā school is the Purva Mīmāṃsā Sutras of Jaimini (ca. 3rd to 1st century BCE). A major commentary was composed by Śābara in ca. the 5th or 6th century CE. The school reaches its height with Kumārila Bhaṭṭa and Prabhākara (fl. ca. 700 CE). Both Kumarila Bhatta and Prabhākara (along with Murāri, whose work is no more extant) have written extensive commentaries on Śābara's Mīmāṃsāsūtrabhāṣyam. Kumārila Bhaṭṭa, Mandana Miśra, Pārthasārathi Miśra, Sucarita Miśra, Ramakrishna Bhatta, Madhava Subhodini, Sankara Bhatta, Krsnayajvan, Anantadeva, Gaga Bhatta, Ragavendra Tirtha, VijayIndhra Tirtha, Appayya Dikshitar, Paruthiyur Krishna Sastri, Mahomahapadyaya Sri Ramsubba Sastri, Sri Venkatsubba Sastri, Sri A. Chinnaswami Sastri, Sengalipuram Vaidhyanatha Dikshitar were some of the Mimamsa Scholars. The Mīmāṁsā Sūtra of Jaimini (c. 3rd century BCE) has summed up the general rules of nyāya for Vedic interpretation. The text has 12 chapters, of which the first chapter is of philosophical value. The commentaries on the Mīmāṁsā Sūtra by Bhartṛmitra, Bhavadāsa, Hari and Upavarṣa are no more extant. Śabara (c. 1st century BCE) is the first commentator of the Mīmāṁsā Sūtra, whose work is available to us. His bhāṣya is the basis of all later works of Mīmāṁsā . Kumārila Bhaṭṭa (7th century CE), the founder of the first school of the Mīmāṁsā commented on both the Sūtra and its Śabara Bhāṣya. His treatise consists of 3 parts, the Ślokavārttika, the Tantravārttika and the Ṭupṭīkā. Manḍana Miśra (8th century CE) was a follower of Kumārila, who wrote Vidhiviveka and Mīmāṁsānukramaṇī. There are several commentaries on the works of Kumārila. Sucarita Miśra wrote a Kāśikā (commentary) on the Ślokavārttika. Someśvara Bhatta wrote Nyāyasudhā, also known as Rāṇaka, a commentary on the Tantravārttika. Pārthasarathi Miśra wrote Nyāyaratnākara (1300 CE), another commentary on the Ślokavārttika. He also wrote Śāstradīpikā, an independent work on the Mīmāṁsā and Tantraratna. Venkaṭa Dīkṣita’s Vārttikabharaṇya is a commentary on the Ṭupṭīkā. Prabhākara (8th century CE), the originator of the second school of the Mīmāṁsā wrote his commentary Bṛhatī on the Śabara Bhāṣya. Śālikanātha’s Ṛjuvimalā (9th century CE) is a commentary on the Bṛhatī. His Prakaraṇapañcikā is an independent work of this school and the Pariśiṣṭa is a brief explanation of the Śabara Bhāṣya. Bhavanātha’s Nyāyaviveka deals with the views of this school in details. The founder of the third school of the Mīmāṁsā was Murāri, whose works have not reached us. ↑ Worthington, Vivian (1982). A history of yoga. Routledge. p. 66. ISBN 9780710092588. 1 2 Donald R. Davis, Jr (2010). The Spirit of Hindu Law. Cambridge University Press. pp. 47–48. ISBN 978-1-139-48531-9. ↑ Neville, Robert (2001). Religious truth. p. 51. ISBN 9780791447789. ↑ Coward, Harold (2008-02-07). The perfectibility of human nature in eastern and western thought. p. 114. ISBN 9780791473368. ↑ Kapoor, Subodh (2004). The Philosophy Of Vaisnavism. Cosmo Publications. p. 60. ISBN 978-81-7755-886-9. Lars Göhler, Wort und Text bei Kumārila Bhaṭṭa: Studie zur mittelalterlichen indischen Sprachphilophie und Hermeneutik, Europäische Hochschulschriften. Reihe 20, Philosophie ; vol. 468, Lang (1995), ISBN 3-631-48821-1. R.A. Ramaswami Shastri, A Short History Of The Purva Mimamsa Shastra, Annamalai University Sanskrit Series No. 3 (1936).